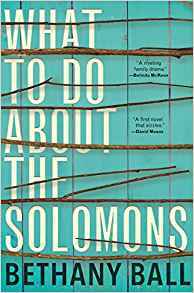 Bethany Ball is the author of the new novel What To Do About the Solomons, which focuses on an Israeli family. 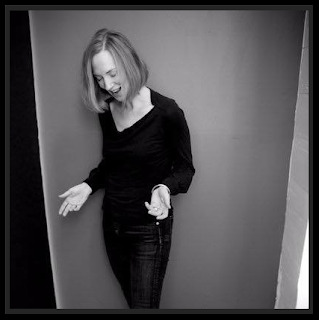 Her work has appeared in a variety of publications, including The Common and The American Literary Review. She lives in New York. Q: How did you come up with the idea for your novel, and for the Solomon family? A: I married an Israeli about 17 years ago. I think whenever two people from different cultures marry there is going to be friction and a kind of culture shock, for both parties. My husband was a kibbutznik from a large-ish family. I had not really intended on writing a book about Israelis but I had written several pieces about Israeli commandos and a story about an Israeli mother who unknowingly leaves her child alone while she travels to America. When I wrote the first chapter of What to Do About the Solomons, which was about a kibbutznik named Guy Gever having a kind of breakdown (or breakthrough), I knew I had a book in the making. It was a lot of fun and a good way to write a first novel. There were sparks between the stories, a kind of friction that propelled the narrative forward. And writing the book was a way for me to make sense of two things: Israeli culture and the dynamics of a large family. Q: You tell the story from a variety of perspectives. Did you especially enjoyed writing about some of the characters in particular? A: I enjoyed writing the first chapter very much. That was one of those rare chapters that felt completely effortless to write. It was the chapter that made me want to write the book. Guy Gever is alien to me in many ways, and at the same time, utterly familiar. I love the idea of people breaking down and rebuilding themselves, creating a life they ultimately want. For that reason, I rooted for Maya as well. Q: The story takes place over many years in the life of the family. Did you write the chapters in the order in which they appear, or did you move things around as you wrote? A: The narrative takes place over many years because my feeling about people is that you only really know them over a long period of time. I wanted to show my characters evolving and devolving over years and years, but I didn’t necessarily want to do it in chronological order. Memory does not work chronologically. Someone can behave to me in a certain way and maybe I’m surprised. Or maybe I will remember an incident that happened 20 years ago that illuminates the interaction. I wanted to bring that quality to the book. A: I had a very difficult time naming this book. No one could come up with a title. It was a painful process. I kept going for sort of biblical titles, Old Testament titles, but they didn’t speak to the modern, secular nature of the book. Eventually, my amazing agent Duvall Osteen came up with the title. We were on the phone and she said it and I was like, That’s it! Luckily, my editors at Grove went for it as well. A: I’m right now trying hard to get back to my second book. It’s a more traditional novel set in Detroit, the American South and New York City in the year 1999 leading up to the Millenium. It deals with the mythology of Y2K, being broke, and auto plants. One day I’d love to revisit the Solomons, but not for this book. A: As someone who was born to Protestant parents but did a kind of conversion later, I wrote this book to help me understand this culture that was alien to me, and seemed also to be unknown to a lot of people here in the United States. I wanted to write about kibbutz life and I wanted to write about a large sprawling family. In my mind I had Anna Karenina, Mrs. Dalloway, Bolano and even Spike Lee’s Do the Right Thing as references. A good friend of mine who’s Greek said that he had many “Solomons” in his family and could relate. As crazy and in some ways exaggerated the Solomons are, they love and support one another and as someone who comes from such a small nuclear American Midwestern family, I envy them to some degree.